An incredible voice is invariably the key to success in any TV talent show. But not many singers choose to use theirs like Mohammed Assaf, the 23-year-old Palestinian who shot to prominence across the Middle East and north Africa in June by winning the hugely popular Arab Idol. Assaf’s pitch-perfect renditions of regional classics from across the Arab world attracted an audience of up to 100 million for the show’s final. 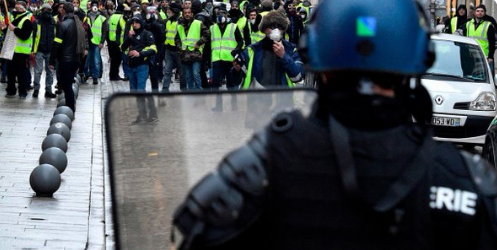 Exuberant idealism may have been the hallmark of his performances but, like those who achieved so much in the early months of the Arab spring revolutions of 2011, Assaf knows romanticism alone will not sustain his ambitions. In the buildup to Palestinian-Israeli peace talks which resume in Jerusalem this week, there is no doubting his growing political influence. “I have a great responsibility to my people,” said Assaf, after performing at a new stadium near Hebron in the West Bank to thousands of ecstatic fans. Nationalist songs such as Ya Tair al-Tayer (Oh Bird in Flight) provided solace to those yearning for full Palestinian independence, but Assaf is convinced that real change is possible. Born in Colonel Gaddafi’s Libya and growing up in Khan Younis in the Gaza Strip, Assaf embodies the struggles of a generation who, two years ago during the pro-democracy revolutions, used every modern tool available to put their problems on the worldwide agenda. The internet and live satellite TV broadcasts were crucial to the Arab spring in an increasingly interdependent, media-driven world, but Assaf is also a passionate believer in the power of both popular music and celebrity to galvanise people. 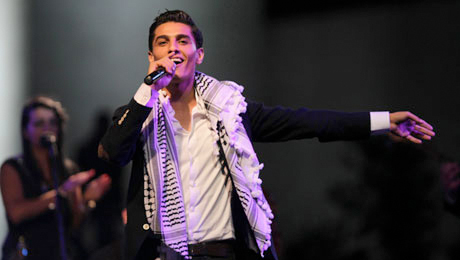 One of Assaf’s greatest talents is the ability to sing different genres of music from across the Arab world. During one of his Arab Idol performances he also sang I Want It That Way by his favourite US band, the Backstreet Boys. There are plans for him to be at the 2014 World Cup in Brazil, too, perhaps duetting with Colombian superstar Shakira. Assaf’s spoken words are as direct and passionate as his singing. The popular entertainment that is Arab Idol may have put him on the world stage, but he now intends to use his vaunted position in the limelight to promote justice and a mass movement for change in the world’s most intractable conflict.